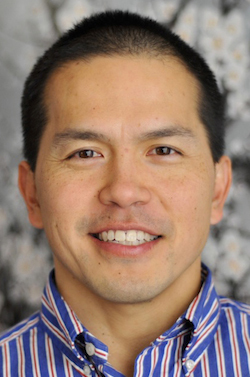 Gene Ang, Ph.D. has a healing practice based in Thousand Oaks, CA and sees clients for a number of energy healing and shamanic healing practices*. In addition, he teaches seminars that focus on the integration of science, spirituality, and healing. Gene travels both in the United States and internationally facilitating healing sessions and workshops. Gene received his BA from Stanford in Human Biology and Philosophy/ Religious Studies, and was formally trained as a Neurobiologist at Yale where he earned his doctorate in basic mechanisms of how the brain develops followed by a post-doctoral fellowship on how ultrasound can affect the developing cerebral cortex. After his post-doctoral fellowship, Gene decided to step into the role of a facilitator of healing in order to directly interact with helping people. Most of his work centers around the use of subtle energy to help align the subtle energy body, its channels, meridians, and energy centers to help restore balance and harmony so that healing can occur whether it be physical, emotional, mental, and/or spiritual. Gene doesn’t see himself as the healer but simply as part of the interconnectedness that occurs when facilitator, client, and Source/Love/God interact to bring healing forth. He sees his teaching engagements and seminars as an extension of this interaction that occurs on multiple dimensions to bring wholeness, understanding, and evolution to all involved.